that you are OSHA & FCC Compliant. 10 mW/cm. (2) (milliwatt per square centimeter) as averaged over any possible 0.1-hour period. 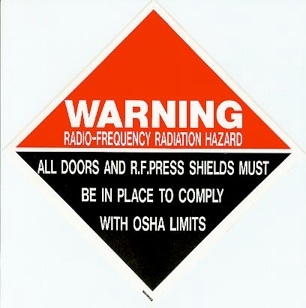 Shields and Grounding are the two major things that can drastically change the way RF radiation escapes from the RF Generator. We have special meters to test the electromagnetic radiation escaping from your machines and we can make adjustments to improve it. We can test your equipment to make sure that it is operating at the correct frequency and make adjustments if needed. Special signage is also needed to be in compliance.